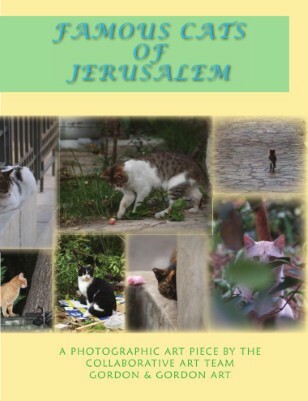 The Famous Cats of Jerusalem is a photographic art piece by the collaborative art team Gordon & Gordon Art (Joseph Connelly and Rachel Gordon). From November 2005 through January 2006, we photographed 248 cats on the streets of Jerusalem. The photographs were then distributed around the city for people to find. This issue catalogues all 248 cats.